To have image thumbnails you need to generate them first. In the popup that opens, you can choose a size and where to place the newly generated images. 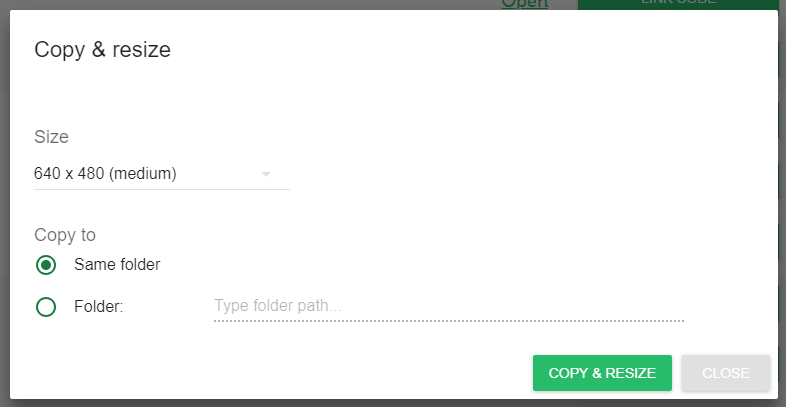 If you select the Folder option you can type and search for any folder inside your property. You also always have the option to create a sub folder with the entered name, click on the first result that says "(new sub folder)" for that.